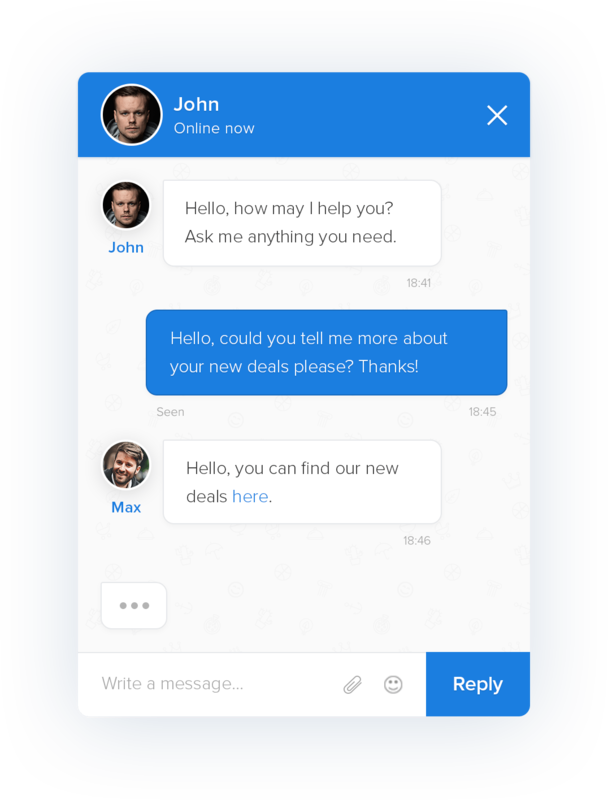 Offer your customers a world-beating chat system, under your own brand. Your apps, your domains, your branding. You bring the customers, we do the rest. The platform comes integrated with the leading conversational APIs like Google DialogFlow. We can also integrate third-party engines. Our platform is built on Amazon Web Services, using a serverless paradigm. This means full linear scalibility and no downtime, ever. We have rethought the whole chat experience, with a focus on simplicity. Humans and chatbots, real-time and asynchronous, SMBs and Enterprise. This platform combines the best of many worlds. Strict new privacy guidelines don't just apply to European companies. With GDPR-compliant self-service tools, we have you covered. All-you-can-eat white label plans available. Drop us a line to schedule a meeting to talk about how our platform can deliver value to your customers.